Notes: The Romulan D'deridex class, also known as the Romulan Warbird, composes the bulk of the Romulan Empire's fleet in the late 24th century. Not widely know about until the Romulan reemergence in 2364, the Warbird can only be described as massive; it measures almost twice the length of a Federation Galaxy class with superior firepower. 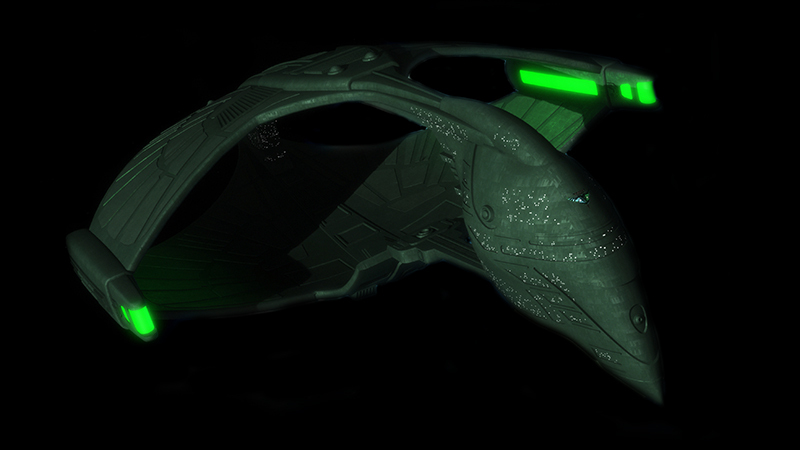 As with pervious Romulan designs the Warbird incorporates an improved cloaking device that is nearly impossible to detect. Also incorporated into the Warbird is a new engine design that uses an artificial singularity as its power source, though not as fast as Federation ships. The Warbird proved to be an effective weapon during the Dominion War. 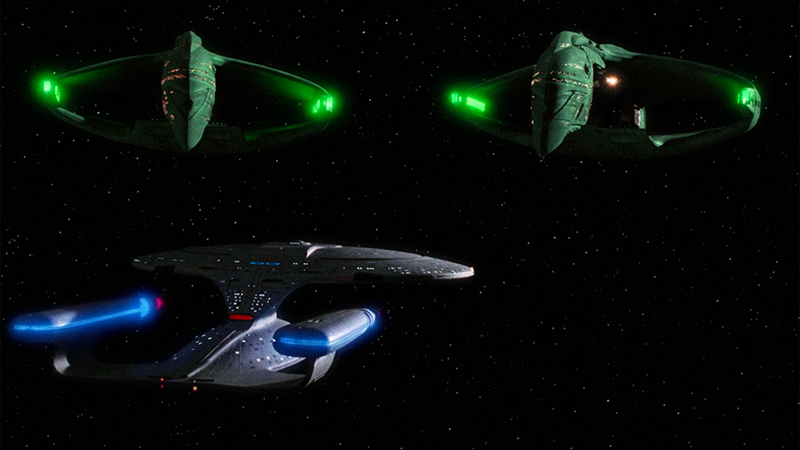 The exact date these ships were first put into service is unknown due to the Romulan isolationism.